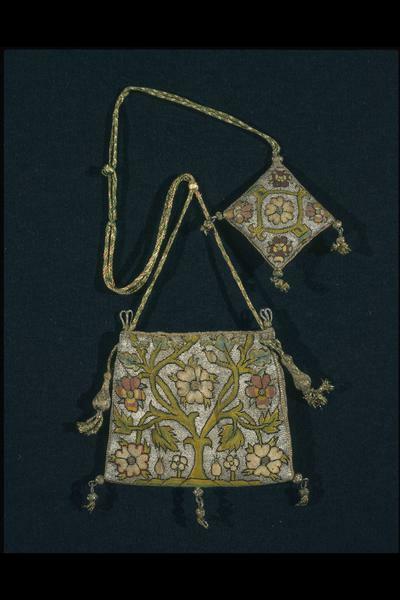 In the 17th century decorative purses such as this one were rarely used to carry money, as their wealthy owners engaged in few commercial exchanges requiring cash. In addition to serving as 'sweet bags' or 'gift wrapping', purses sometimes functioned as sewing kits that held needles, thread and tiny scissors. 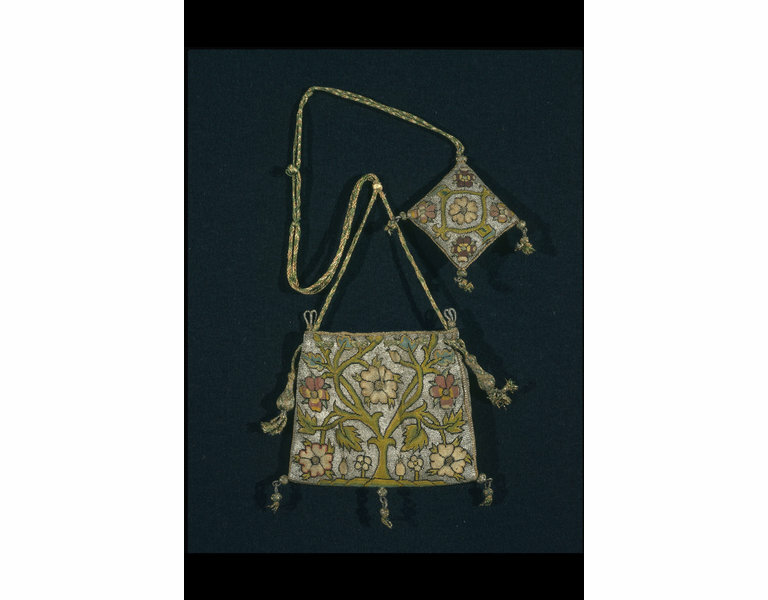 The attachment of a pin cushion to this purse suggests that it might have been used as a sewing kit, or kept on the dressing table to hold pins for fastening clothing. This pin cushion is decorated in canvaswork. Worked in wool, it was a popular form of embroidery, particularly for furnishings such as wall hangings, cushion covers and table carpets. 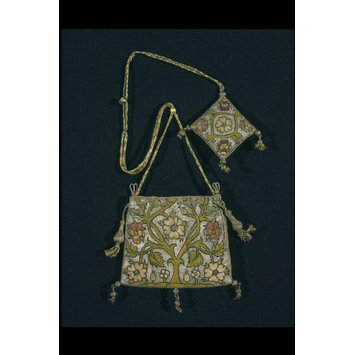 For smaller items such as this purse and pin cushion, silk and metal threads were often used on a ground of finely woven linen. This example uses tent and Gobelin stitches, two of a variety of stitches found in canvaswork. The pattern depicts a rose tree, a motif made popular by its association with the Tudors. This type of needlework allowed subtle gradations of colour, giving the image a very pictorial effect.